Google’s AdWords Platform Is a Dinosaur. Google AdWords is fancy, but it’s not user-friendly. Some of the smartest tech marketers I know are intimidated by all the options. This creates a problem for the average business owner. How do you expect to make money from Average Joe if Joe can’t figure out how to use it? Sir-Mix-a-Lot once metaphorically chimed in about Google’s AdWords problem:Oh my gosh, Becky.Look at that button. It’s so big. It looks like one of those tech guys’ glasses. They only use it because it looks like a total monopoly. I mean, that button. It’s just so big.I can’t believe it’s so old.It’s just out there still.I mean, it’s gross.Look, it’s just so… ancient. Ancient. Yes. Unfortunately, this isn’t hyperbole or a buzzword: In 2016, if you don’t stay ahead of your competitor as a large business, the smaller company generally gets enough momentum to pass you up. And they won’t look back. Facebook Ads are already easier to launch & understand than Google & YouTube. This is NOT a happy sign for Alphabet. Look at Groupon a few years back. In 2011, hundreds of similar businesses launched agressively on Groupon’s tail in order to beat them to the top (the founder of my start-up at the time did the same & it made for a very happy ROI). YouTube Is Plagued by AdWords Platform Limitations. I feel like I need a GPS when I look at AdWords & our Video Power Lab Members express similar issues with the AdWords interface problem. Yes, it’s great how many crazy features the program has, but as an average user – I don’t need a map of New York. I just need to know how to get to Starbucks. Hope you’re picking up what I’m throwing down here. It’s time for AdWords to restructure and simplify for the most helpless of users (me). UPDATE:1. Google AdWords just made our YouTube campaigns go from BOOM to ERMERGERSH (we can now escape tablet users)!!! 2. YouTube just launched beta-access to Annotations that are mobile-friendly. #HappyDance3. 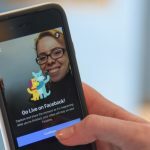 And many of you may know that YouTube Live also launched & is in its infancy stages as well – while they don’t have the user-engagement Facebook does, they definitely have the video analytics. Keeping Content Producers Happy Will Be More Challenging. As more live entertainers adopt Live Video & steal away audiences & as other publishing technologies get faster & easier to utilize, YouTube’s current content producers will begin to get fed up with seeing the results of newbies on Facebook Live Video & articles that brag about their successes. Doubts in the platform could spread like wildfire, depending on the success stories. Live-Targeted-Relevant Video is the new Golden Standard. It’s a pure cash cow. 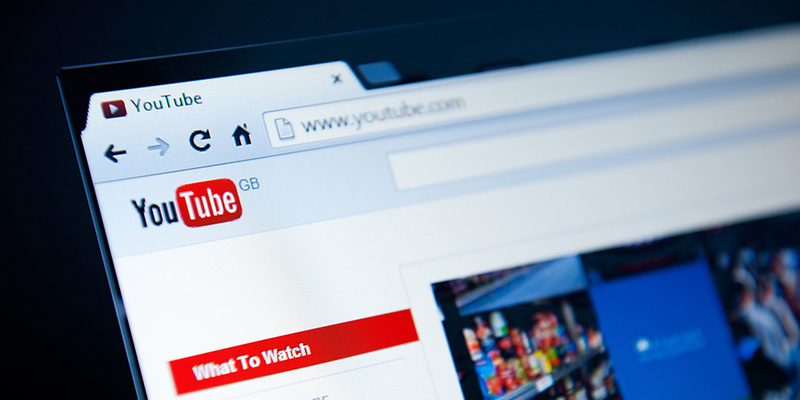 Many YouTube Influencers Are Bound to Leave to Seek Greater Growth Potential. As YouTube influencers run towards the next California Gold Rush (trust me, we’ve all been doing it with the invention of Live Video as it is) they’ll begin to spend less & less time on the platform if they find greater, easier value elsewhere. It will be really interesting to see if Influencers find tangible value from Facebook Live Video in regards to a monetization standpoint. However, some key influencers, that are not money driven, may be more prone to switch quickly, simply for the ease-of-use factor. If they’re already Facebook users, it’s pretty simple. One platform is easier to maintain for the lean operator. Let’s Not Forget Who the Boss Is. At the end of the day, this isn’t about a battle between Facebook & YouTube. It’s a war between Facebook & Google. Facebook thew a haymaker, or perhaps a leg kick, attempting to take out a major asset of Google’s operation, but if not executed perfectly, there’s no telling what Google will throw back or utilize to defend their position a-top the world. Anderson Silva’s kick (Facebook Live Video) at Chris Weidman’s leg (YouTube). Who will win this fight – Google or Facebook?